It’s not everyday that you have the privilege to sit down with a former Olympian. As the second stop of the NVL Pro tour took us to San Antonio, Texas, we caught up with volleyball legend Rita “The Rockett” Crockett in her hometown to talk about the past and future of her favorite sport and how she earned her infamous nickname. You’re from San Antonio. How does it feel to be back in your hometown watching volleyball and how is this experience different from years past? It’s amazing being back in San Antonio because I don’t get to visit often. I’m here watching my favorite sport with a lot of my old high school buddies who I haven’t seen in thirty years. My daughter, Marri, is here with me as well and it’s just so nice to relax and enjoy the wonderful company around me. 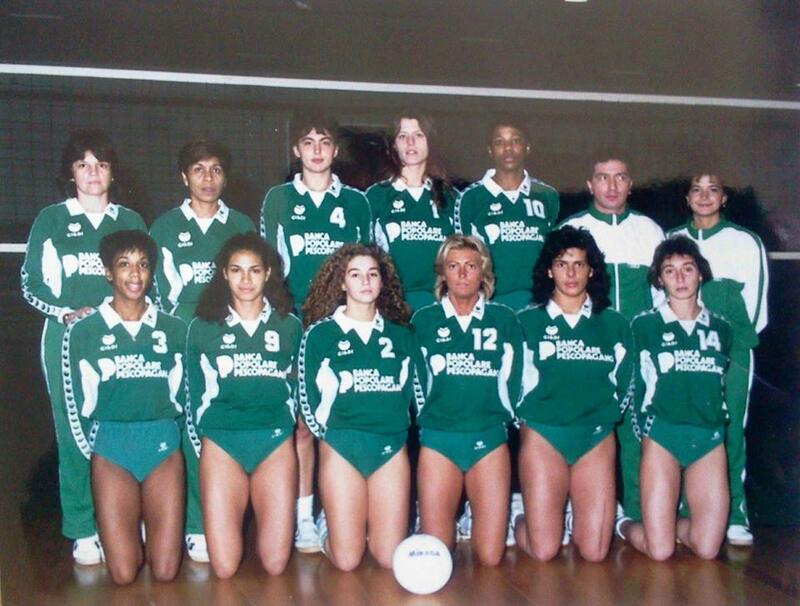 What differences do you notice in terms of what volleyball was years ago and what it has become today? The sport is blowing up. Beach volleyball is one of the most popular sports in the world and it’s growing rapidly in America as well. I’ve also noticed a trend in younger players showing interest in volleyball because, unlike other sports, there is not a lot of down time. When you’re playing on a team of two, no one is being sat out on the bench and you are able to learn the game faster. Did you pick up the game at a very young age? I got started playing volleyball in high school. I played every sport – I ran track, played basketball and played volleyball. By the time I went to college, I earned a full scholarship for both basketball and volleyball. After my freshman year, though, it became a lot to balance, so I decided to really focus my energy to one sport, and I chose volleyball. Then, during my junior year, the USA coach invited me to the national team and that is where my real international career began. Before you were invited to the USA national team, did you try out for the junior team? During my junior year, my college coach took me to try out for the junior national team and I actually ended up getting cut the very first day because the coach decided I was too small (Crockett is 5’9”). Within that same year, though, the national coach saw me playing on a tournament and personally invited me to play on the national team. It was pretty wild. You earned a spot on the 1980 and 1984 Women’s Olympic Volleyball team. How did it feel to represent your country and to take home the first medal for the United States Women’s Volleyball team? We actually boycotted the 1980 Olympics. A lot of the athletes, including myself, were really upset that we didn’t get to compete. The passing years have brought some perspective, and now I’m able to understand why we were not able to compete in Moscow. There was a war going on at the time and Russia had invaded Afghanistan. We thought, “This is so political. Why are they bringing the athletes into this?” Now, I can see that it was a dangerous situation and they were protecting us. I can take a step back and understand that now. That was 1980 and thankfully, I was young enough to get another chance, and I ended up competing in the 1984 Olympics in L.A. and I took home a silver medal. Being a part of that and standing on that podium with my best buddies was a powerful moment. Would you say that was probably the highlight of your entire volleyball career and did you ever imagine that for yourself when you first started playing? Definitely. Being an olympian and winning a silver medal was the top of the top, but I never imagined it would happen to me. I played simply because I loved the game. You were inducted into the International Volleyball Hall of Fame, named to the USA All-Era team, Volleyball Magazine named you as one of the Top 35 U.S. Volleyball players of All-Time and your face is up in the Alamodome in the San Antonio Sports Hall of Fame. When you hear all these accolades what goes through your mind? When I hear it all at once, I think, wow, that person sounds like a badass! I’d like to meet that person, and it’s me! I don’t really take all that in, though, honestly. I just did what I did. It’s an honor to know that people really recognized and appreciated my athleticism. It feels so good to know that, as proud as I was to be representing America in the Olympics, America was proud of me too. What struggles have you faced during the course of your career? At first, it took a lot of energy to compete among women who were over 6 feet tall. I’m 5’9 ish and for professional volleyball, that’s not very big, so I had to play big. When you are exerting that much energy, there is always a chance of injury, so I really had to take care of my body. I did get injured, but I healed quickly and got myself back out on the court. The most difficult thing was really just keeping myself healthy so I could continue to compete. 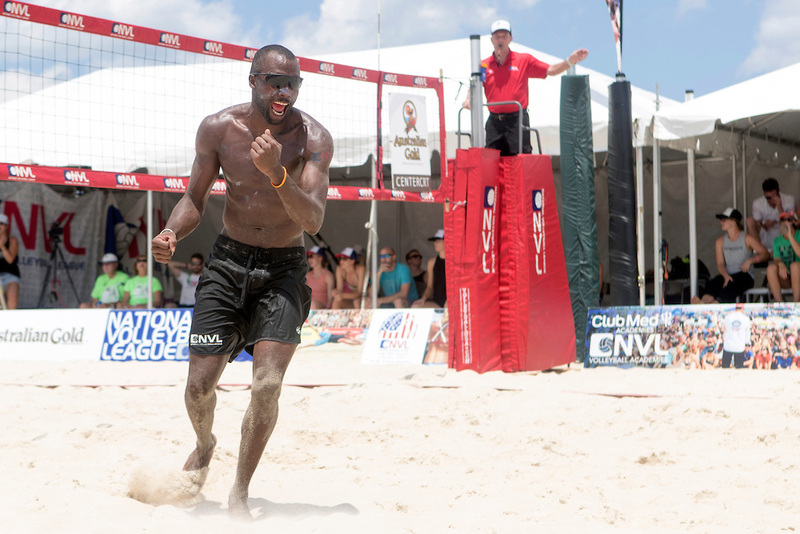 What are some differences on the pro beach circuit since you’ve played? There is just so much more talent, because there is more than one pro circuit. There is a place for everyone to feel like they belong. It’s really nice that athletes today have options available to them and the opportunity to grow into the international field from any league. The athletes on he NVL Pro Tour are working towards their goal of winning the NVL Championship in September. Being a world champion on the beach, what dedication does it take to reach that goal and how does it feel once you reach it? If you want to be a champion you have to be a champion in life. You cannot just play ball on Fridays and Saturdays. You have to live it every single day and you especially have to take care of your body, your mind, and your emotions. It takes a rare person to exhibit that much consistent dedication. Because of my 42 inch vertical. See the guy over there? ::points to Jeff Samuels:: That’s how I jumped! Was that something that came naturally for you, or was it a particular goal you set for yourself? A lot of it was natural, but once I started training with the olympic team I fine-tuned my technique, so my jump significantly improved. By the end of my career, I was touching 10’9” on a good day. What advice can you give to juniors, college athletes, pros, future and current Olympians to help them strive for greatness? Be humble. Take care of your body. Take care of your mind. And just enjoy the sport and have fun. If you’re not having fun, it’s not worth doing. That is why I stay involved. I love to watch good players, and I love to watch not-so-good players grow and get better. When it stops being fun, get out. Check yourself every now and then. I think it’s important to look around and appreciate all that volleyball has become and what we have achieved as a whole.